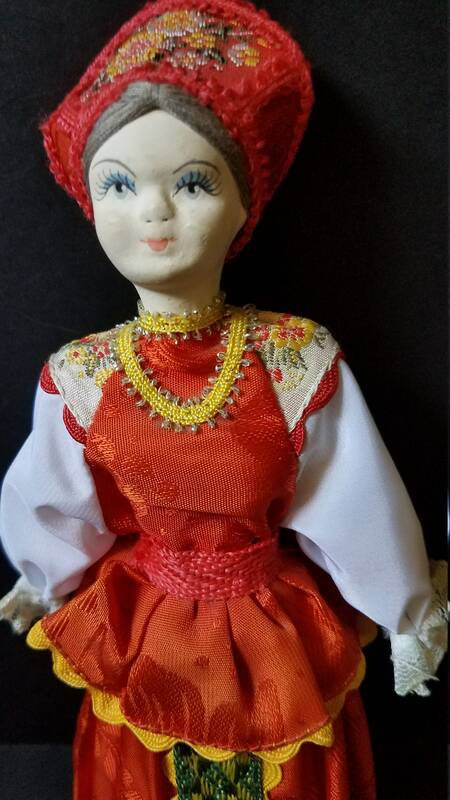 I don't know how old this doll is, I can't find out much about it other than it is apparently made by the same company that makes the Russian Nesting dolls. 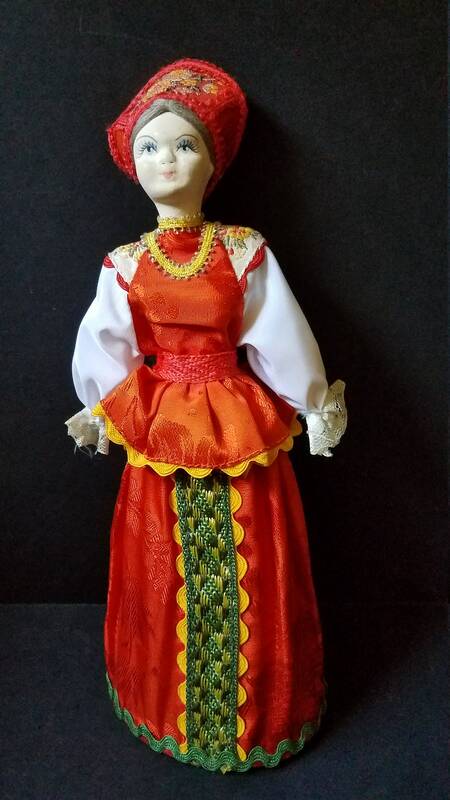 She is really lovely though in her orange outfit that is highly detailed with rickrack, embroidery and beads. She has no arms, but I believe that is the way she was made as she shows no sign of wear. 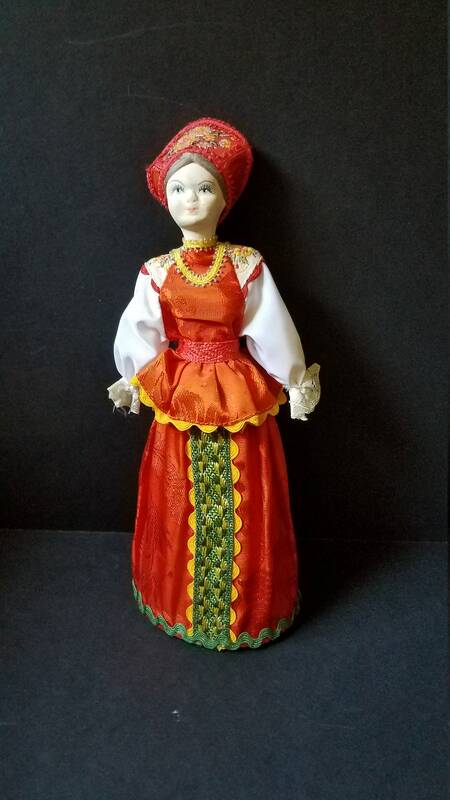 She is 9.75" tall and stands nicely. 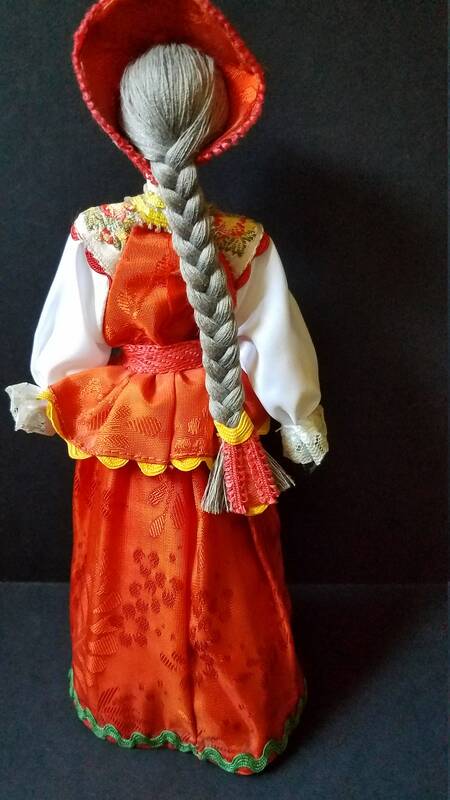 Her head is porcelain, her hair is thread.